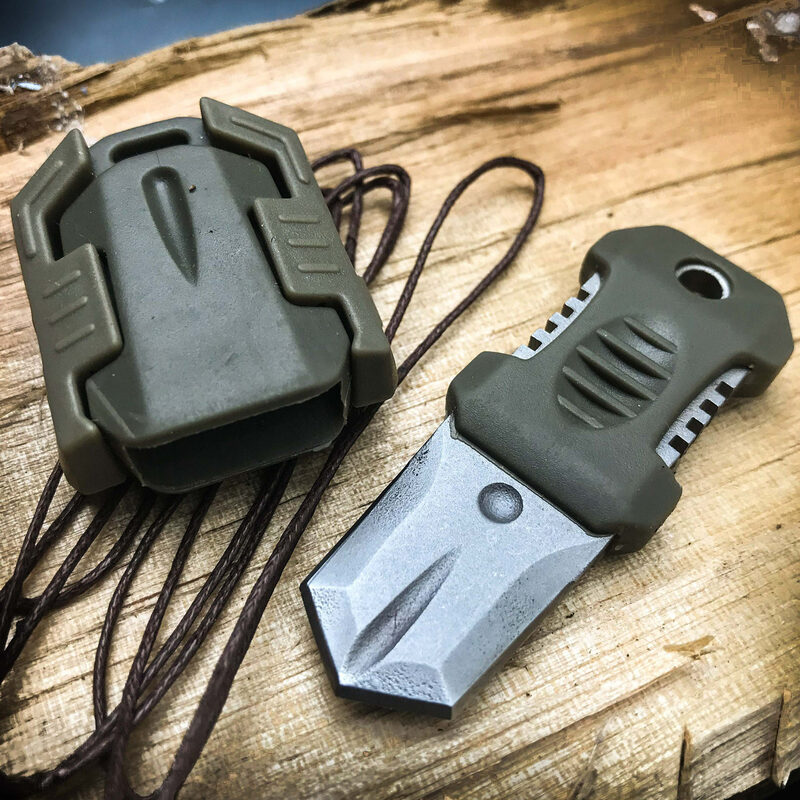 SHTF Tactical MOLLE Shiv - Stainless Steel Blade, Rubber Overmolded Handle, Plastic Webbing Adapter, Lanyard Hole - 2 1/2” Length | BUDK.com - Knives & Swords At The Lowest Prices! 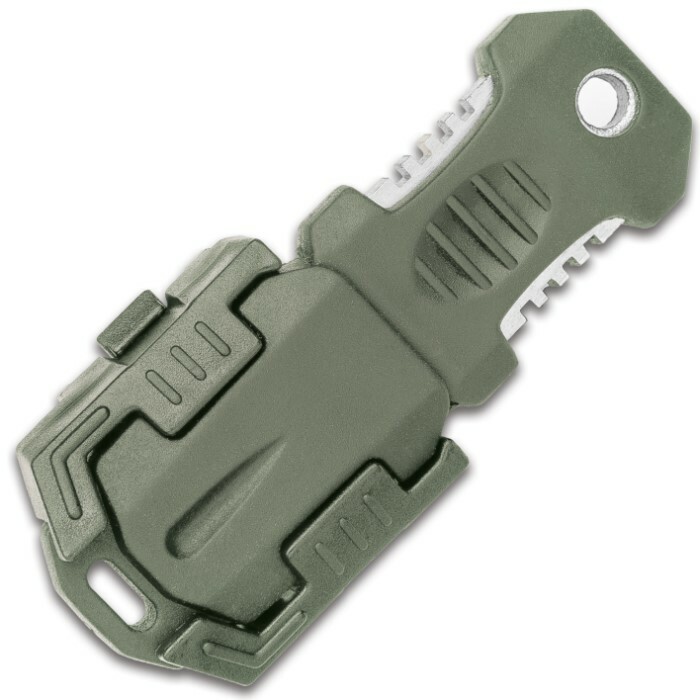 The SHTF Tactical MOLLE Shiv is a unique concept in a discreet self-defense weapon because it’s easily camouflaged on gear and clothing that have MOLLE webbing. 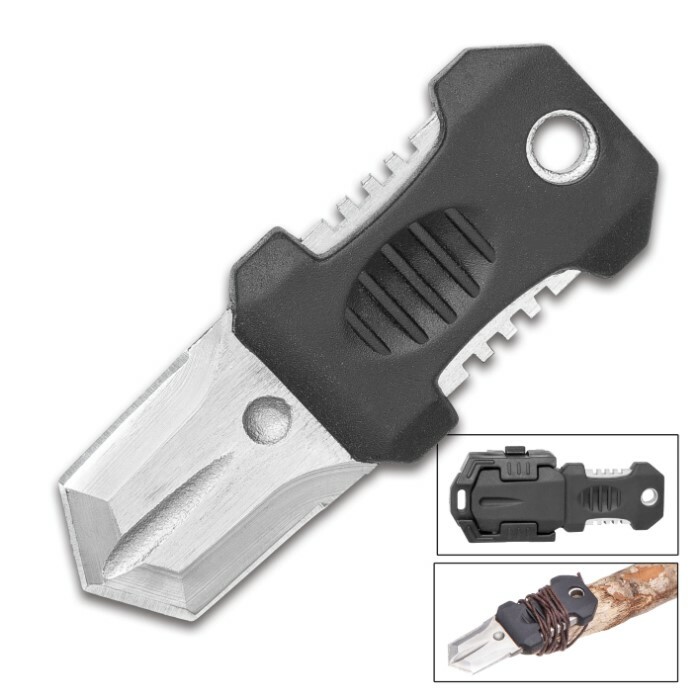 The shiv has a 1” 440C hardened stainless steel full-tang blade with side serrations, on the exposed tang, for gripping. 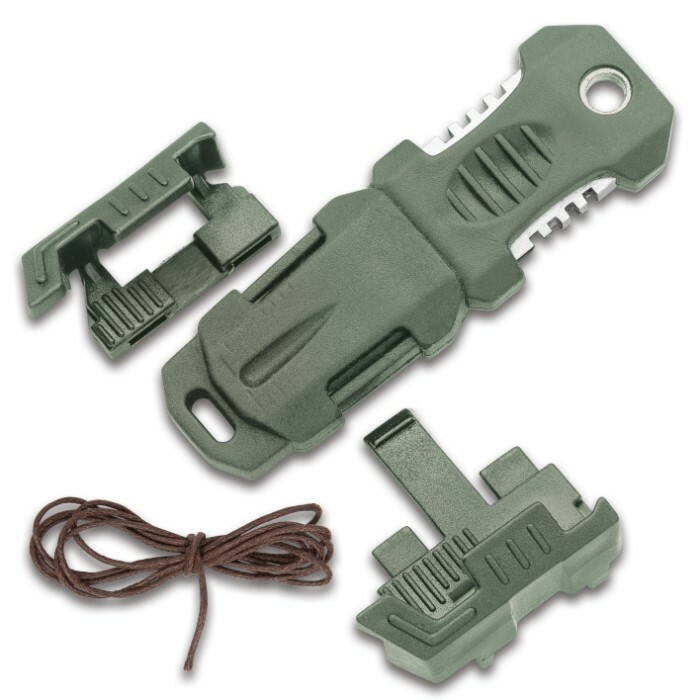 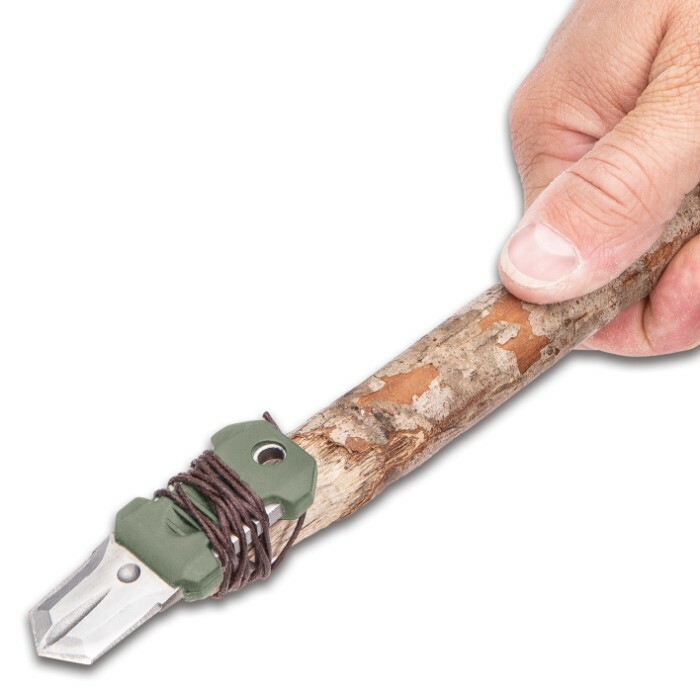 The rubber, overmolded handle has premium gripping ridges and a lanyard hole for the included lanyard cord. 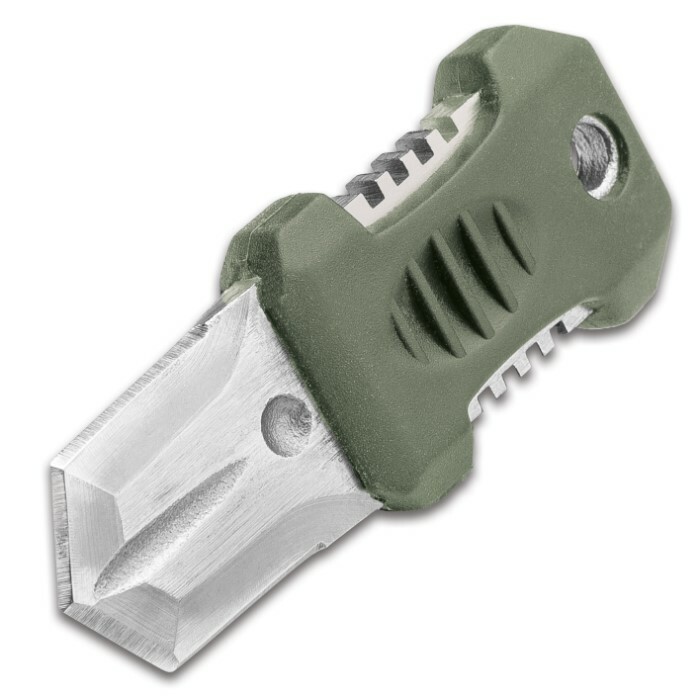 A heavy-duty sheath of overmolded rubber with an integrated plastic MOLLE webbing adapter snaps onto the shiv’s blade. 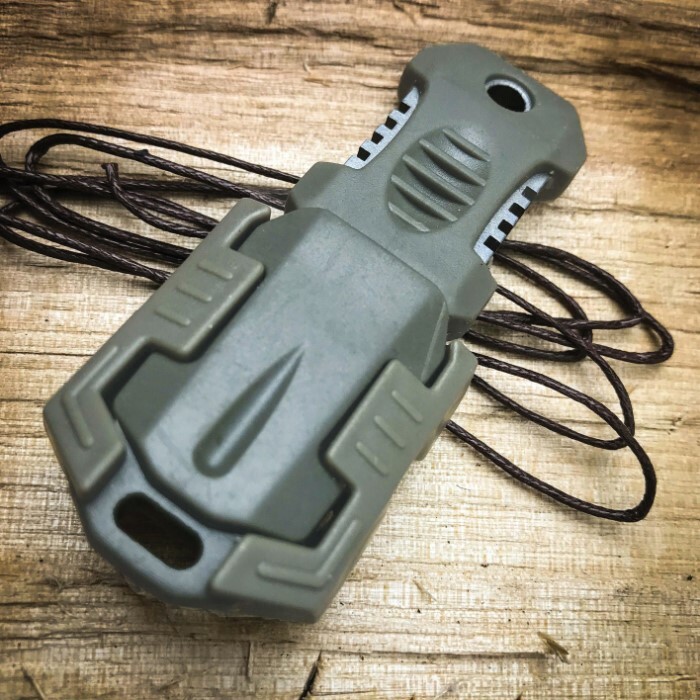 They’ll never, ever know you have it!